Make a sweet splash with the beach box! 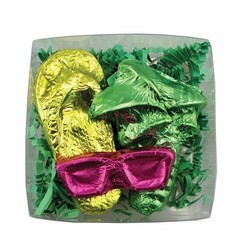 2.08 oz Clear box filled with 1 chocolate candy foil wrapped flip flop sandal, 1 chocolate candy foil wrapped pair of sunglasses, and 1 chocolate candy foil wrapped palm tree. 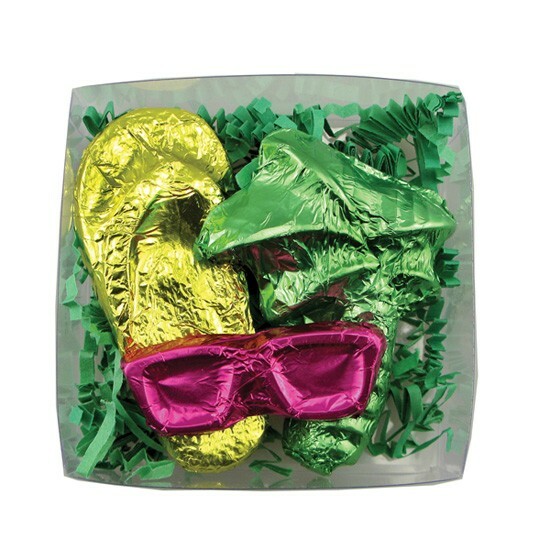 Mix and match foil colors for no additional charge. Tied with ribbon color of your choice. 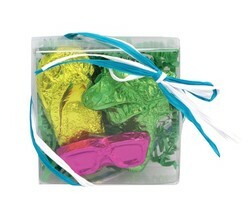 Makes a great food gift or vacation ocean resort travel agent promotional giveaway.